Are you in need of an affordable, yet highly durable warehouse steel shelving system? 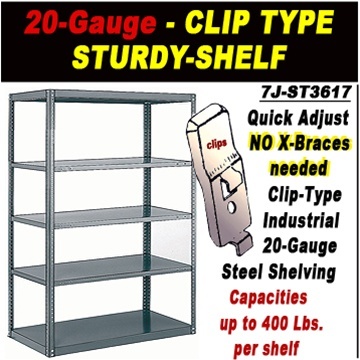 Standardshelving.com provides a number of commercial metal shelving solutions for an endless amount of applications. 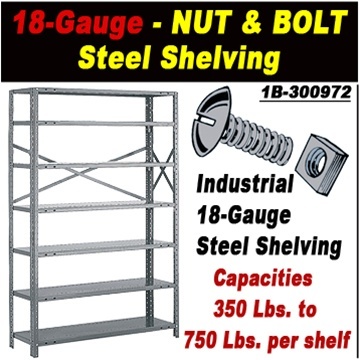 Our industrial steel shelves are offered in both 18 and 20 gauge steel, providing you with the strength and load capacity you need. 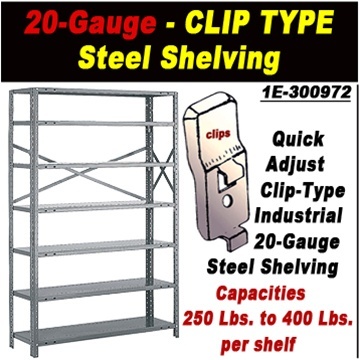 Our heavy duty shelves come in a number of different capacities and range from 250 lbs. to a massive 750 lbs. per shelf.